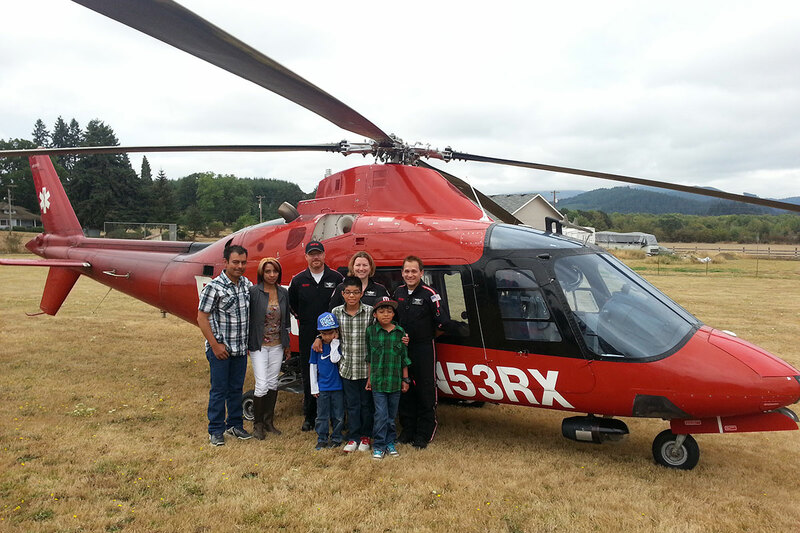 Gustavo and Maria Cuevas of Monroe, Oregon have three sons: Alan, Angel and Victor . They live on the 800-acre ranch where Gustavo works, and last July 29 was pretty much an average day…until it wasn’t. I’ll never forget that they decided to stay. I’m so grateful. 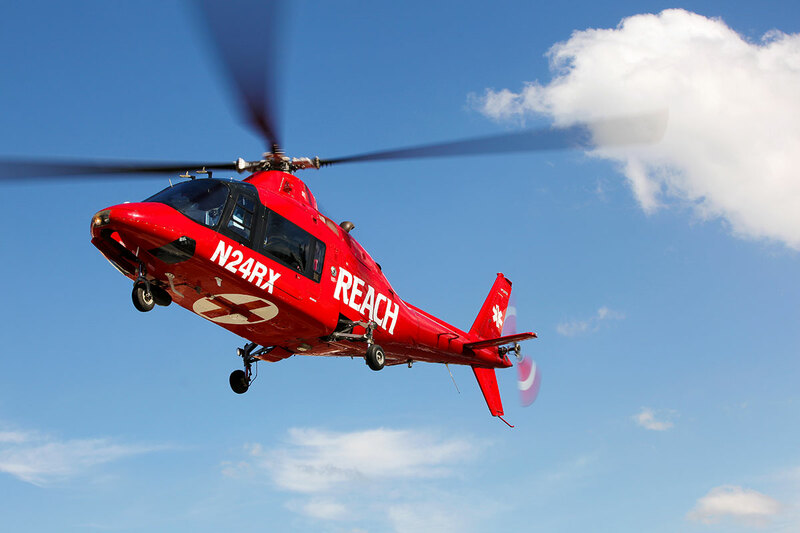 Piloted by Bryan Bowen, the REACH helicopter arrived quickly, carrying Flight Nurse Joey Van Winckel and Flight Paramedic Eric Schmidt. The Cuevas family reunites with REACH flight crew. Front row, left to right: Victor, Alan, and Angel Cuevas. Back row, left to right, Gustavo and Maria Cuevas with REACH Pilot Bryan Bowen, Flight Nurse Joey Van Winckel, and Flight Paramedic Eric Schmidt. They were right. Alan’s liver was split nearly in half. Alan was flown to Sacred Heart Hospital in River Bend, OR, aboard the Agusta A109 helicopter.